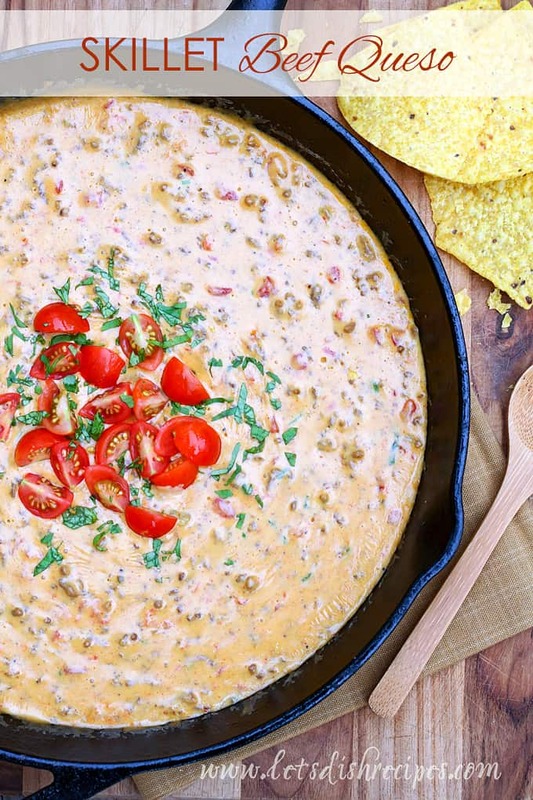 SKILLET BEEF QUESO — Ground beef is added to melted cheese in this spicy, crowd-pleasing, one skillet dip that’s sure to be a hit on game day, or any day! 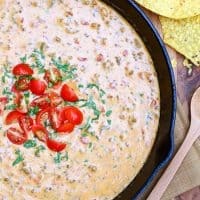 I’ve already started thinking about what to serve for the Super Bowl this year, and this Skillet Beef Queso will definitely be on the menu. As far as I’m concerned, it’s not a Super Bowl party without some kind of cheesy queso dip. And this one is extra filling and delicious thanks to the addition of ground beef (although you could certainly make it vegetarian-style if you prefer). Sausage or chorizo are also great additions. Best of all, everything is done in one skillet, so there are less dishes to wash. And there’s just something fun about serving a hot dip in a skillet. I like to serve mine topped with fresh cilantro and tomato for a bit of added freshness. Tortilla chips are, of course, a must. Although I’m kind of partial to Fritos scoops when it comes to dipping. 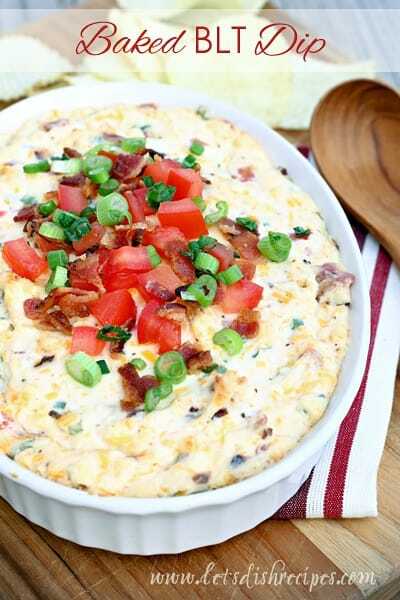 This dip is creamy, cheesy, a little bit spicy, and the perfect addition to any game day menu! You really can’t go wrong with a big skillet full of melted cheese. If you’d like to keep this dip warm for several hours, just pour it into a lightly greased slow cooker set to low. 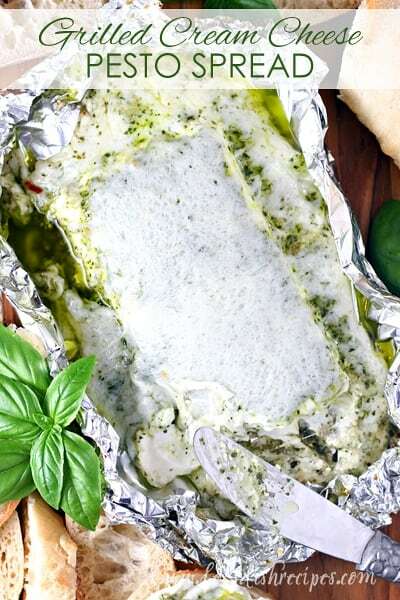 Either way, everyone will love it, and this cheesy dip will disappear in no time! In a large skillet over medium heat, cook the ground beef, garlic, chili powder, cumin and salt and pepper until beef is no longer pink. Drain grease if necessary and transfer beef to a paper towel lined plate. Add the Velveeta and diced tomatoes and green chilies to the skillet and cook until the cheese is melted and smooth. Add the Monterrey Jack cheese and cook and stir until melted. Return the beef mixture to the skillet, along with the heavy cream and 1/4 cup cilantro and cook until heated through. 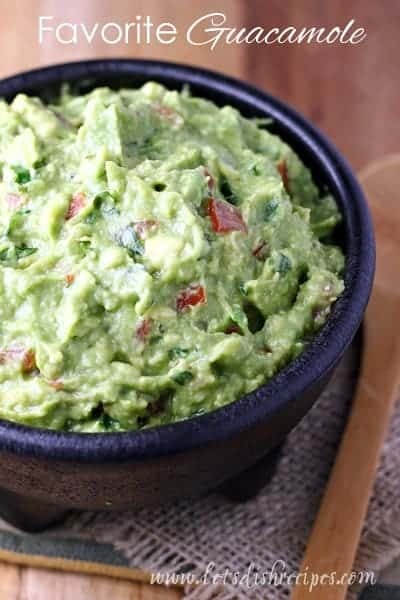 Top with additional cilantro and chopped tomatoes, if desired, and serve immediately with tortilla chips for dipping. Yeah- I think I would eat the whole skillet myself – this is my weakness! I guess this would be tooooo much for 1 person. Even half would be a lot, but it does sound delicious! I really expected this to stand out more than the typical queso. Was it good? Yes. But after fixing Ugly Dip (sausage, velveeta, rotel) and Cin Chili Queso for so long, this dish was par for the course. Doesn’t mean I won’t make it again though… next time I am going to add beer to the skillet while the beef cooks and evaporate most of the liquid. Would an 8 inch skillet be too small? It probably would. It might just barely fit, but it would be tight, and wouldn’t leave much room for stirring.